This Month's Special: $10 Off for new customers. Mention this Ad and Get $10 off for New Customers. We're pet owners too. That's why we take special care to ensure your pet's groomer will always be an experienced, kind, and gentle professional with the best training and knowledge on how to offer expert care for all breeds of dogs. You and your four-legged buddy will love our service or we'll make it right. That's our guarantee. Search for us online under Mobile Dog Grooming Austin. Now service the West Lake Hills and also Lakeway areas. You'll enjoy the peace of mind that comes with relying on an experienced full service Austin pet grooming that comes right to your doorstep. Our mobile dog grooming salon does it all, from baths & flea control to deshedding, haircuts, dental hygiene, and doggie pedicures. Our clients love our service and your satisfaction is always 100% guaranteed. 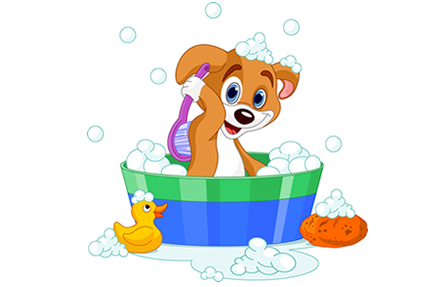 Get a free dog wash quote today. With our unique mobile pet grooming service there is no waiting in cages for hours. We always avoid loud noises and strangers that may disturb your pet. From Cedar Park to Round Rock, you now have an Austin mobile dog grooming partner. 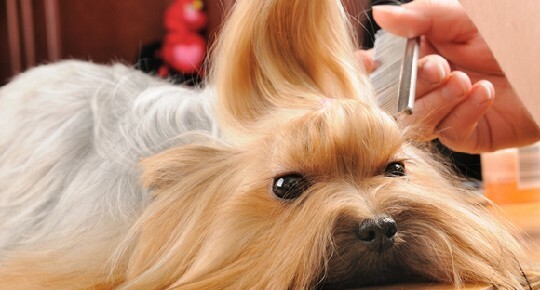 Our Clients find us online by searching "Mobile Dog Grooming Austin". Check us out online when seaching: "dog groomer near me". There are so many questions people in Austin have about mobile dog grooming, so here are some common ones with the answers. Will the mobile groomer need to use my electricity or water hose? No, our grooming van has its own generator and a large fresh water reservoir, and we have a another tank that holds our gray water that we empty back at our office. On rare occasions we may have to borrow your garden hose to refill the fresh water tank, but this doesn't happen very often. Is the water you use warm or cold? We always use heated water. Could you imagine being bathed with cold water? Am I allowed to watch while my pet is being groomed? We get that question a lot, and unfortunately the answer is no. If it were up to us we would love to have you watch the groomer work, but the insurance policy we work under won't allow it. It would be nice though. Does frequent bathing and grooming dry out my dog's skin? This is not true. We use a very mild and hypoallergenic shampoo and conditioner. We chose these brands because they are safe to use once a week. In fact, many veterinarians recommend that dogs be bathed at least once a week with a medicated shampoo if they have skin or coat conditions. Can I provde the shampoo to use during the grooming? Yes, this is common. As long as your product is rated pet-safe or prescribed by a veterinarian we can definitely use it. 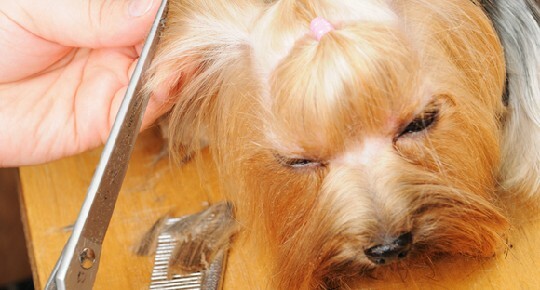 Why does mobile pet grooming cost more than a regular salon? 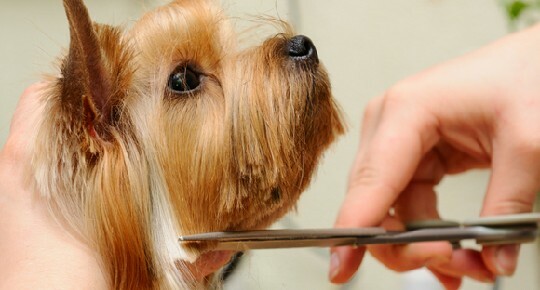 It's so much that mobile dog grooming costs more, its the value you receive that makes the service worth more than a trip to a regular salon. Probably the most obvious benefit is that we come to you, saving you time, money and aggivation. There is also a lot of value in receiving a one-on-one service. 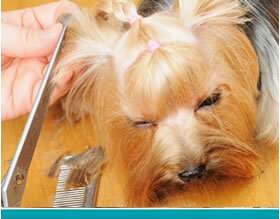 Your dog will have its groomer's undivided attention during the appointment. There's no worrying stress from being caged or cage drying. Using a mobile pet groomer also means you don't have to make 2 trips to the salon or plan your whole day around getting your dog groomed. Using a mobile dog groomer means your pet gets hand dried and groomed right on time, with no waiting. Of course the entire van runs on gas, and propane is used to keep the water warm, and those items cost money for us just like everyone else. It's for these good reasons and a few others that the cost of mobile grooming may be a little more, but the treatment, attention and convenience you and your pet will receive give the experience a value you'll want to repeat again and again. 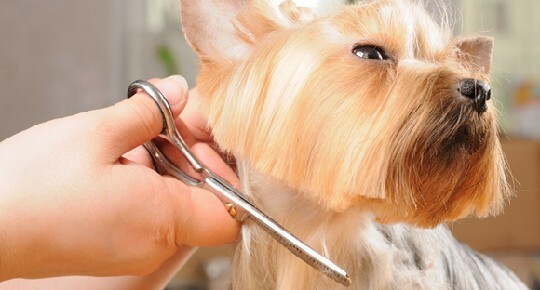 What is included in a Mobile Dog Grooming Appointment? ​*Our Grooming prices start at $65.00 and the final cost depends on the breed, the condition of the pet and its coat, and the location. Please feel free to contact us and about our multiple pet discount and referral programs! All natural, biodegradable, cruelty-free shampoos; cream rinse conditioner included as needed. Specialty shampoos (oatmeal; hypoallergenic; silk protein, etc.) available -- or provide your own. 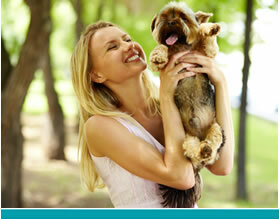 You have a lot of options to choose from for mobile dog grooming in Austin. From Dog haircuts and flea control, to nail trimming and deshedding. 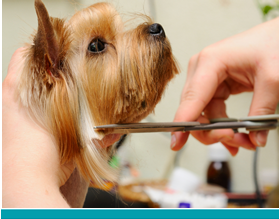 You'll love our service and how your dog will look when we're done.